For all Super Drawings Fans! Learn how to draw and improve your skill.Whether you�re an art teacher, art student, or just a hobbyist artist you will find the step by step Drawing Education. 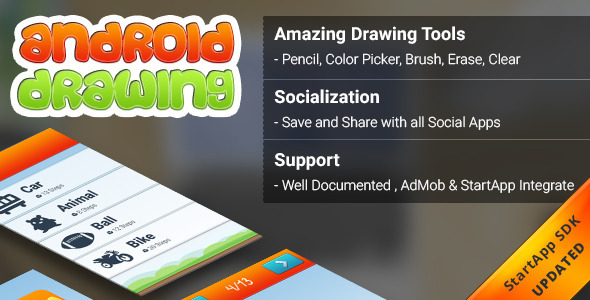 This Apps is a step by step instruction which will teach you how to draw Drawings. Like a personal art teacher, it will teach you how to draw Drawings(Step By Step) of different pictures.you can create your own Application.